A capacitance meter is an useful test gear. And since my multimeter is too crappy to get a constant reading, I decided to make my own meter, especially for large capacitances. 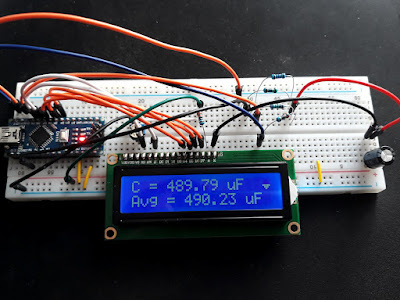 With an Arduino development board, a display and some resistors, the capacitance meter was almost built. It needed proper software to charge and discharge the capacitor, then measure time constant and compute capacitance. 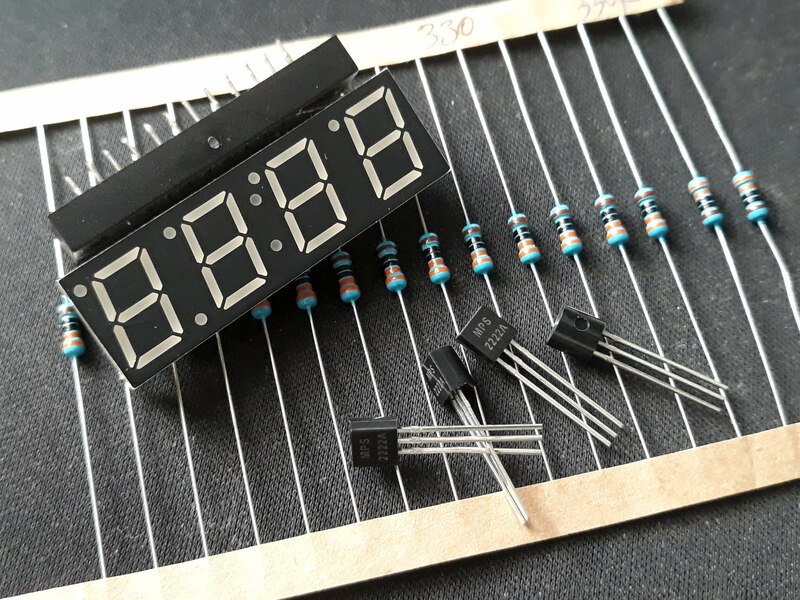 A capacitor's value can be determined by placing it either into an L-C oscillator and measuring frequency, either in R-C circuit and measuring time constant. 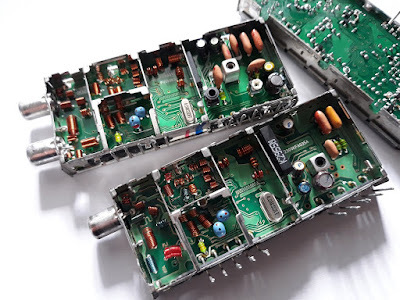 While the first method requires some additional parts and it is difficult in terms of software, it is able to measure small capacitances and also inductors (by using a known value capacitor and calculating the inductor). This project uses the second method, with RC circuit. If a voltage is applied to a series resistor - capacitor circuit, the latter tends to reach supply voltage at its pins (it charges). The charging needs a time dependant on series resistor and capacitor value. It should be noted that the capacitor draws current as it modifies the voltage across its pins. The following circuit performs both charging and discharging of capacitors. However, measurements are performed only during charging. 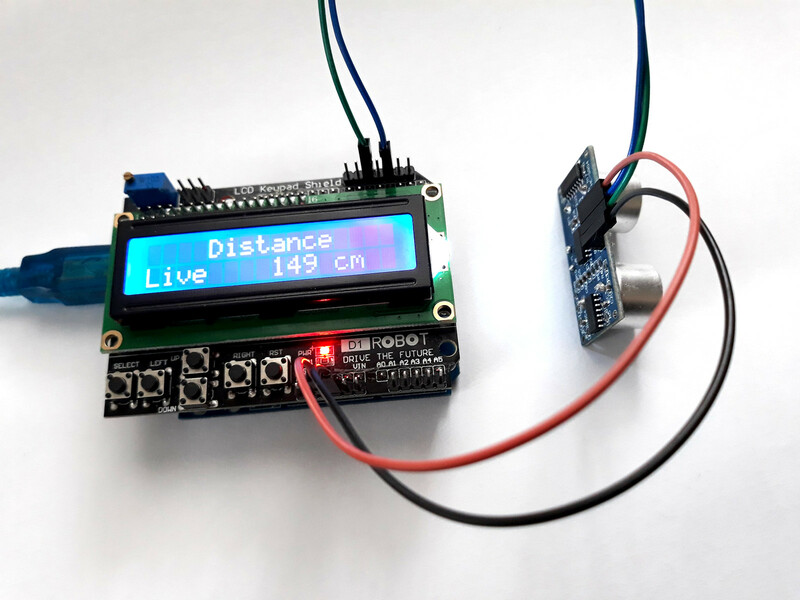 The discharge function allows Arduino to make multiple measurements of the same capacitor without taking it out of this circuit. DS1302 is a timekeeping chip with battery backup and general purpose RAM. It has been replaced by newer variants like DS1307 or DS3231 which have improved accuracy. 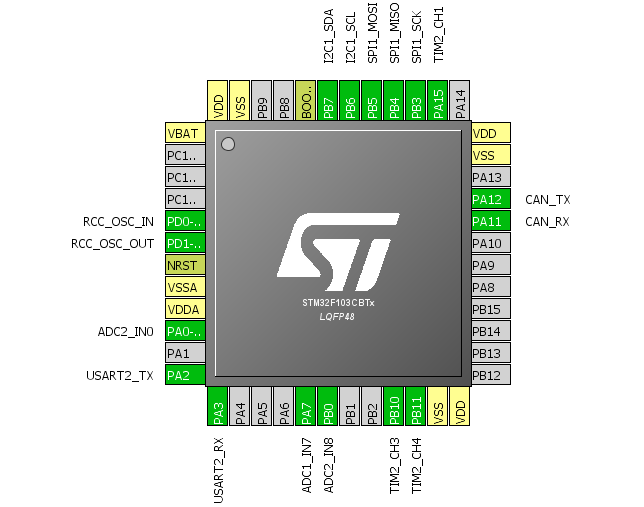 The newer ones have I2C interface, but DS1302 does not. 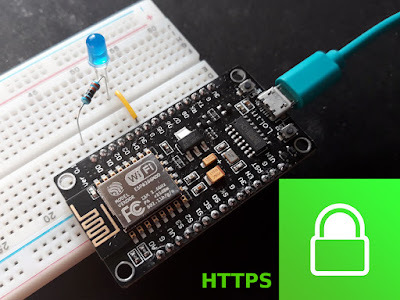 It communicates with the host using a serial protocol that resembles SPI. Since I had a module with this chip, I decided to build and test an alarm clock. I added an Arduino, the alphanumeric LCD, an active buzzer and some buttons. There are some great advantages when using an RTC (real time clock) module in your project. 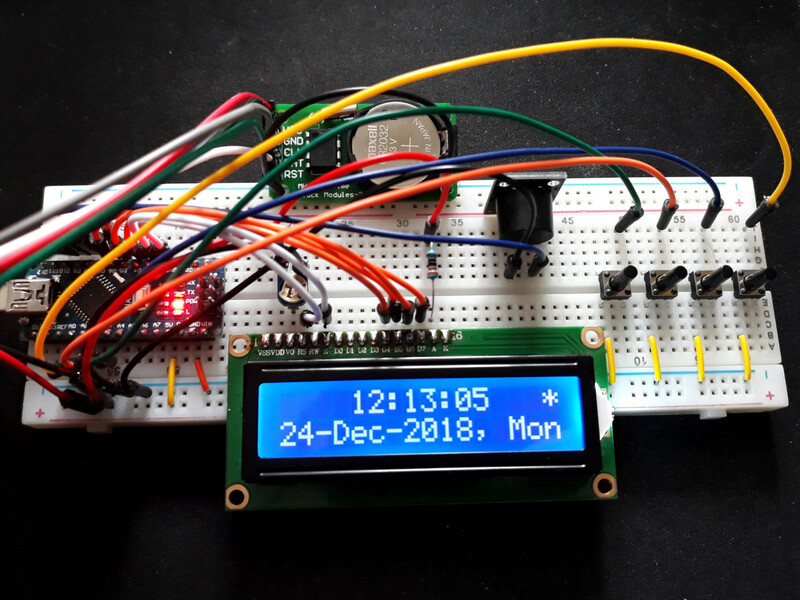 You don't have to do timekeeping in your code (if you read my previous post, you can see it's not quite easy) and, very important, time keeping is performed from backup battery when your development board is not powered. This means you don't have to set date everytime you plug in the Arduino. The advantage is obvious for projects that depend on accurate time to operate correctly. 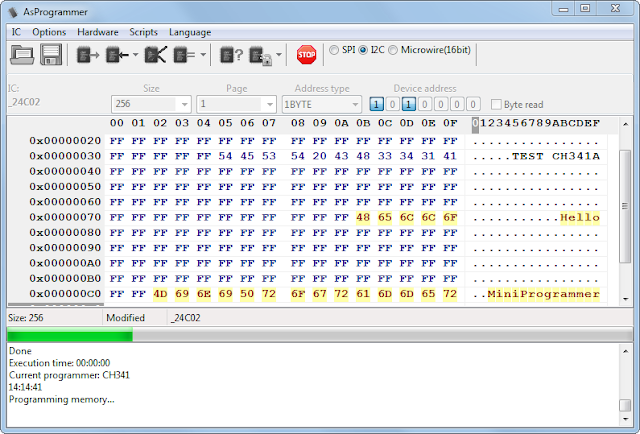 Lately I’ve playing around with the STM32F103 development board known as “blue pill”. Developing software for it is not as easy as for Arduino boards. The MCU contains a 32-bit ARM CPU. I have previously tried to write software for this board using HAL library, but I didn’t get the most out of it because I found the programming model rather complicated. 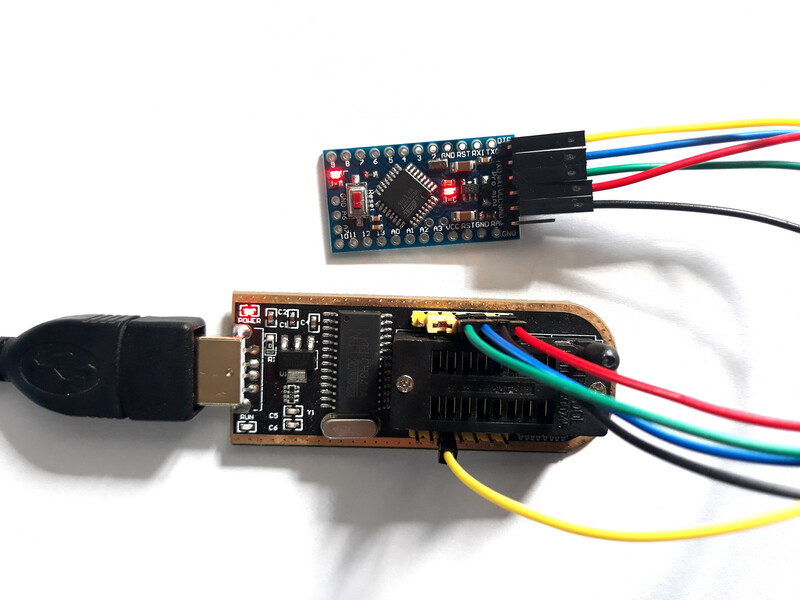 One of the methods to develop software for this MCU is to use ST HAL library (which uses a higher level API than other libraries for this MCU). I chose the Eclipse IDE with a set of plugins for STM32 family. There is an easier way to get the SDK and IDE with the toolchain called System Workbench for STM32 (recommended by ST too). This is the download directory where you can find all releases for the major operating systems. 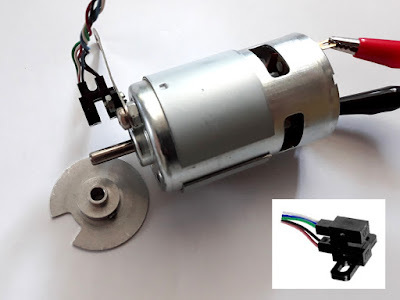 But before creating a blank project in SW4STM32, you should know that there is a tool which can create this project for you. Not quite blank, as you will configure the MCU with a graphical tool in a step-by-step process. I tried to program this development board using both Arduino IDE and STM32 HAL, but I wasn’t quite satisfied. 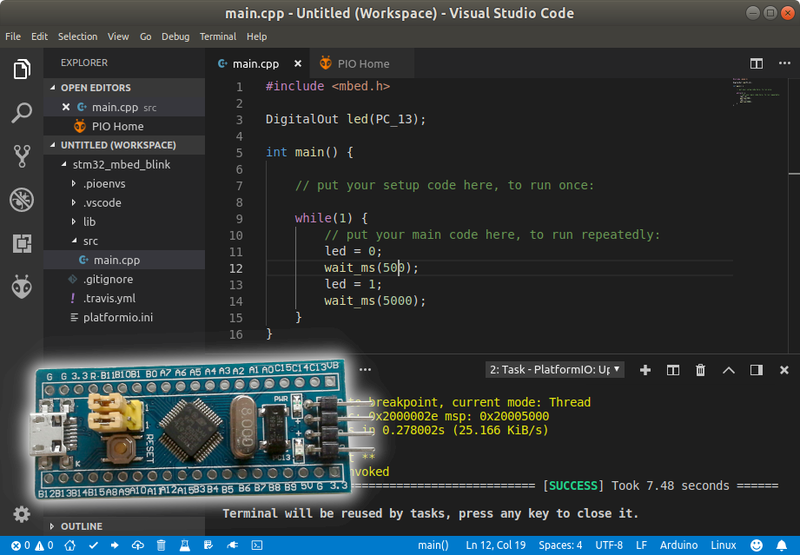 Arduino framework is simplified and does not take advantage of platform’s features, while HAL was quite difficult for me. Using HAL in Eclipse come with another disadvantage: direct uploading of the binary in flash didn’t work, so I had to use ST-Link tools to upload it, outside of Eclipse. Recently I heard of PlatformIO IDE. This is a development environment supplied as Visual Studio Code or Atom plugin. One of its great advantages is the support for more than 500 development boards! Although VS Code and Atom are cross platform software, they are not at all lightweight, so you’ll need rather good hardware to run them smoothly. Another great feature of PlatformIO is that for a development board you have multiple framework options. 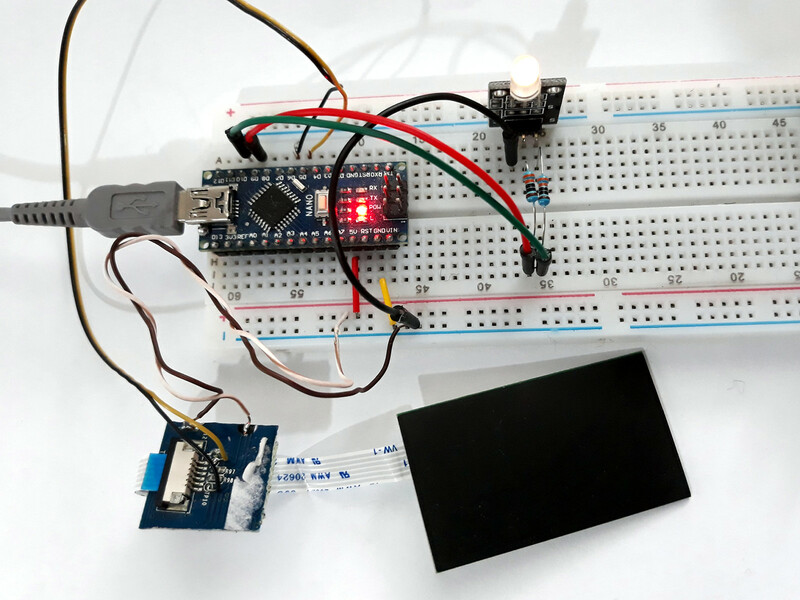 You can program the bluepill using Arduino API, just as you would do in Arduino IDE. Or you can program it using STM32Cube API. But, there is also Mbed OS framework, which I found it to be quite easy to develop. 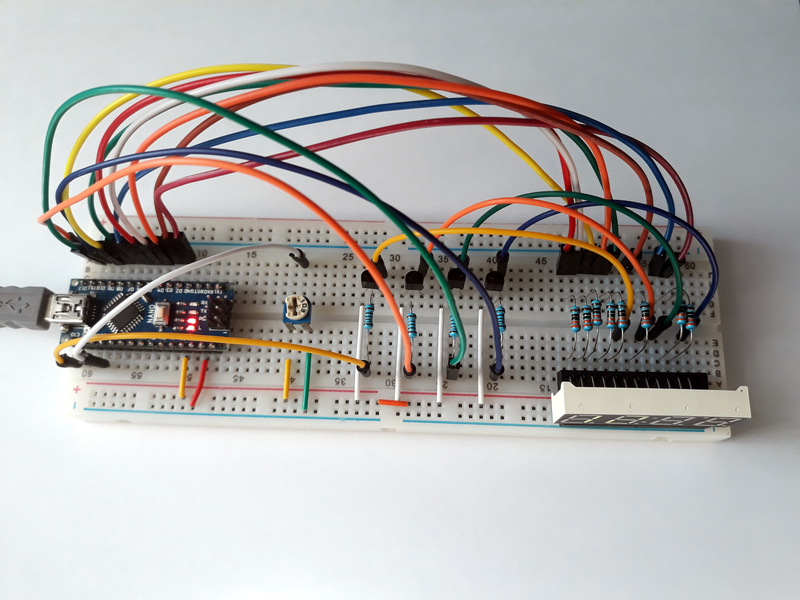 Counting frequency using an Arduino seemed like an easy task. But most people like to do it the easy, but wrong way: using pulseIn to measure width of a pulse. This limits the maximum frequency that can be measured to about 50 kHz. Besides that, the function samples only a cycle of the signal. A good way of measuring frequency is by counting input signal transitions that happen in a specific amount of time. This requires knowledge of timers and interrupts. The method is more difficult to implement and to do it right you need to set some registers. This has been done before and although it was hard to find, I discovered code that can count frequencies up to 8 MHz if the input signal has a duty cycle of 50%. The only drawback is that frequency input pin is fixed to digital pin 5. The upper range is however not limited to only a few MHz. With some extra hardware (a prescaler IC) frequencies of hundreds of MHz can be measured with enough accuracy. A PIN diode is a diode with a wide, undoped intrinsic semiconductor region between a p-type semiconductor and an n-type semiconductor region. At high frequencies, the diode behaves as a resistor. The high-frequency resistance is inversely proportional to the DC bias current through the diode. Therefore, if suitably biased, the PIN diode acts as a variable resistor. 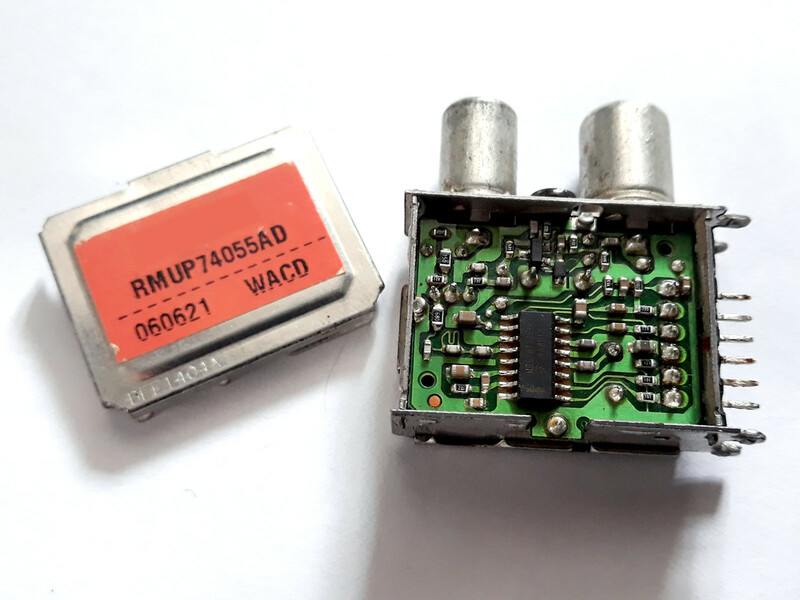 It has low reverse capacitance, that will attenuate RF signal, unless the diode is forward biased. These properties make it suitable for RF switches. The device presented here can be used to switch two antennas. It can prove useful in a number of situations. You can have a VHF and a UHF antenna, or you can have two similar antennas that are pointed in opposite directions for different signals. This switch does not require an extra cable and does not cause significant signal losses. 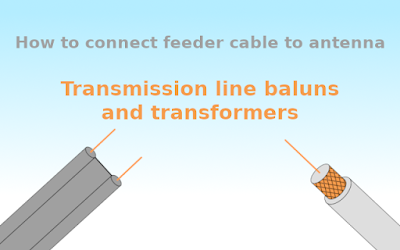 A low DC voltage is sent over the coaxial cable to forward bias one diode. If the polarity of this voltage is reversed, then the other diode will be biased. 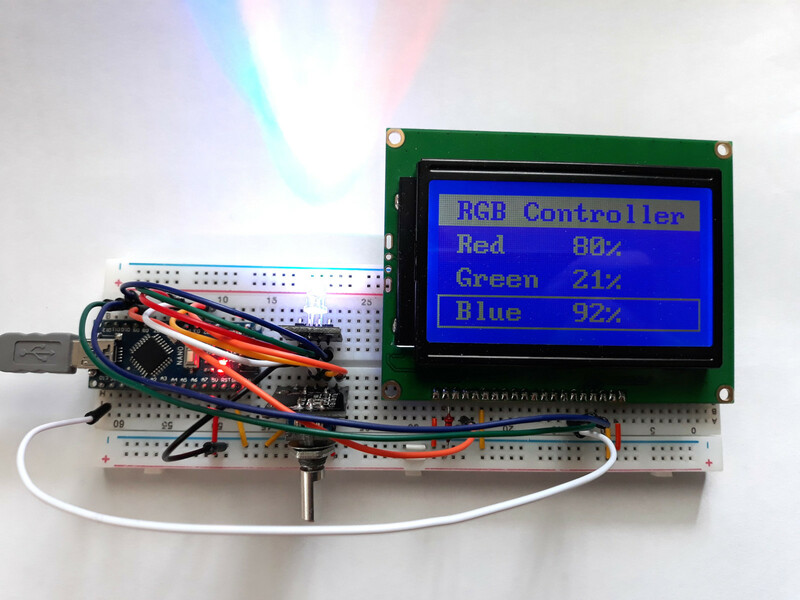 Graphic LCD displays are a good addition for any project where you want to display some data. They look better than the old fashioned 7 segment displays and even alphanumeric LCDs, but more than that, you can use them to build user interfaces and menus. 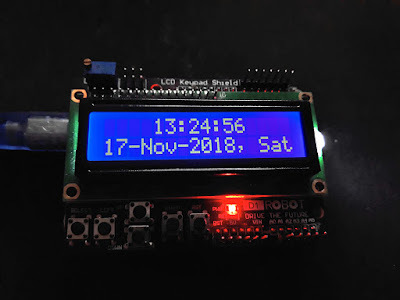 In a previous post, I wrote code for displaying text on a ST7920 128x64 graphic LCD. To save space, I wrote my code from scratch, instead of using a library that draws text in graphic mode and takes up a lot of memory on small microcontrollers. This time, I will continue to add features to the initial Arduino sketch in order to create a simple menu. This menu still uses text mode for displaying items. In this way, you are forced to display a maximum of four items at a time (the display has 4 rows of 16 characters). For highlighting menu items, we'll have to switch to graphics mode and draw rectangles on the screen. I will show you how the graphics RAM of ST7920 is organized and how you can set any pixel you want. The nice thing about ST7920 is that text pixels and graphics pixels are never at the same state. Therefore, if you have written text on a row and afterwards you fill the entire pixels on that row, the text pixels will be cleared ("RGB Controller" is written in text mode, then all pixels from that row are filled - see photo below). Graphic LCD displays are a good addition for any project where you want to display some data. 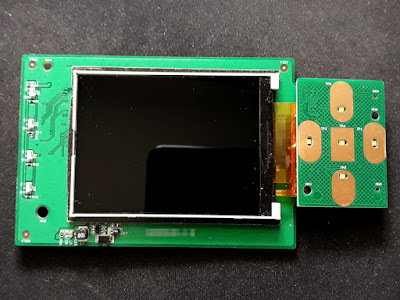 They look better than the old fashioned 7 segment displays and even alphanumeric LCDs, but more than that, you can use them to build user interfaces and menus. 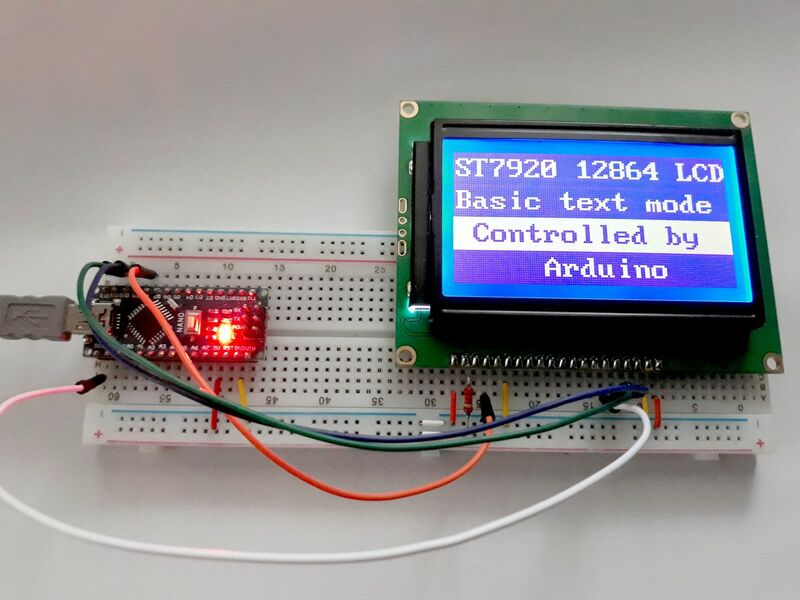 If you interface a graphic LCD with an Arduino or compatible AVR development board, you probably heard about u8g2 library. This is a monochrome graphics display library which supports a lot of LCD controllers and screens of different sizes. It is very easy to use and comes with a lot of functions and display fonts. But this comes with a price. 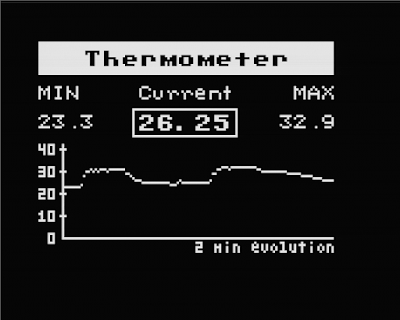 Text is drawn on LCD in graphics mode (this is how it renders different fonts). Combine this with the fact that in serial mode, some LCD controllers are write only. Therefore, the library must keep a part or the entire display data in RAM. This is not a bad thing, but unless you are developing some application where graphics is generated programmatically (something like a game), rather static user interfaces can be written to LCD from a ROM memory and don't need to be kept in RAM all time. 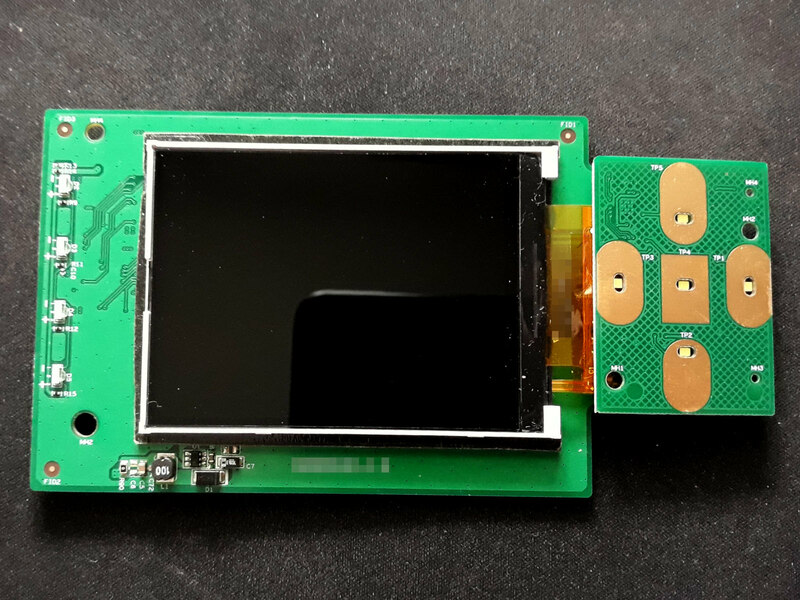 And if you're creating a hardware project, you don't usually need to support different LCD controllers, as you'll not replace the LCD. 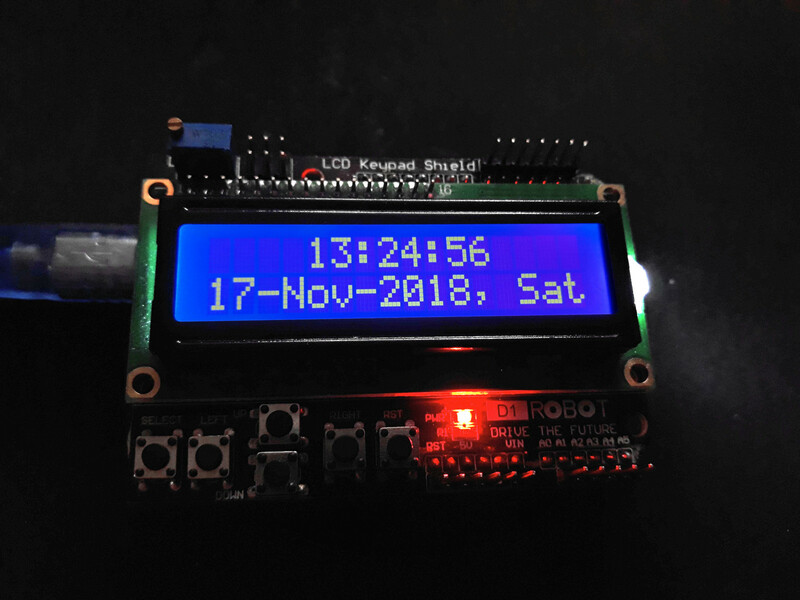 With this in mind and wanting to learn how to control a graphic LCD, I started to develop my own code. It turned out to be simpler than I thought. Simple code also means simple porting to other platforms. So I started this project with a ST7920 128x64 graphic LCD. I chose ST7920 because it supports serial protocol (SPI) and is 3.3V and 5V compatible. When I bought it I thought I could directly interface it with an OpenWRT router. Building an RPM counter is very easy with an optical switch and a way of counting pulses generated by the switch. A microcontroller, a frequency meter and even a logic analyzer can be used for this. Here, I will be using the cheapest and popular method: an Arduino. 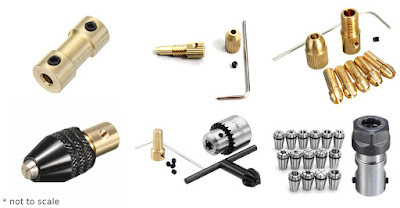 Optical switches are devices made of an emitter LED, usually infrared type and a receiver diode. Between the IR emitting LED and the receiver there is a slot. An opaque piece can pass through this slot and block IR beam. This will be detected by the receiver diode and its output will change state. The piece that will block IR light will be a flange with a slot (a cutout area from the disc). When this passes through the switch's slot, the light reaches the receiver diode. Therefore, rotations are translated into a digital signal with a constant duty factor, dependant on flange configuration. The frequency of this signal needs to be measured and converted into RPM. Analog video is getting replaced by digital signals which provide better resolution and picture without noise or interference. But, analog video signal is easy to generate with simple hardware and then it can be FM modulated for broadcasting over a wire. I2C controlled RF modulators are common modules in obsolete VCRs and set top boxes. 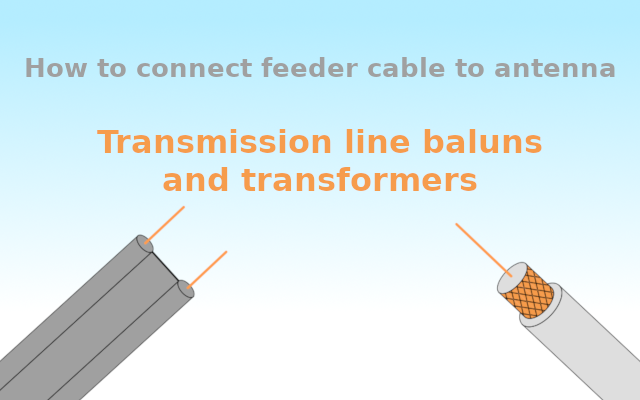 Most of them cover the entire UHF band and support multistandard sound carrier frequencies. 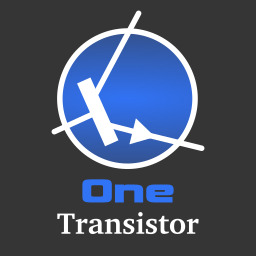 Once taken out of its device, the modulator needs a microcontroller to set up its frequency and other parameters. 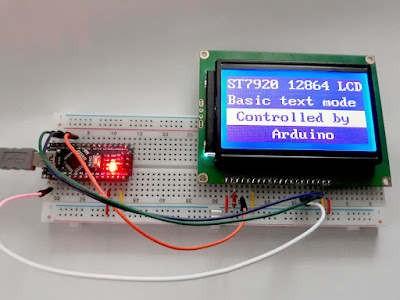 Using an Arduino board with LCD and keypad shield a full featured modulator can be built. Arduino can be used to generate video too, but a single board can't use I2C and generate video in the same sketch. You'll need different boards if that's what you want to do. I used for this project a Samsung RMUP74055AD modulator with MBS74T1AEF controller. 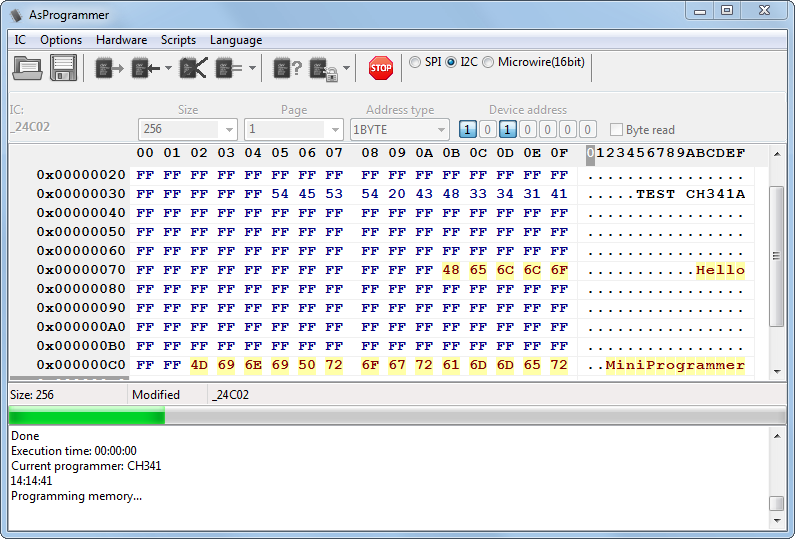 Some searching reveals the same IC is also used by Tena TNF0170U722 modulator. Some datasheets will come up too, if you search for them. Anyway, these modulators are 5V devices. Analog video is getting replaced by digital signals which provide better resolution and picture without noise or interference. 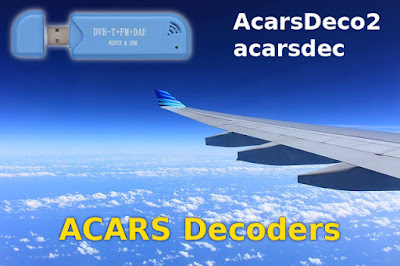 Although receivers for digital signals are cheap and popular, devices for generating such signals are expensive and intended for professional use only. On the other hand, analog video is easy to generate with simple hardware. You can even broadcast it over RF (on wire, not on air) with common modulators (standalone devices or modules from video game consoles, set top boxes, VCRs etc.). 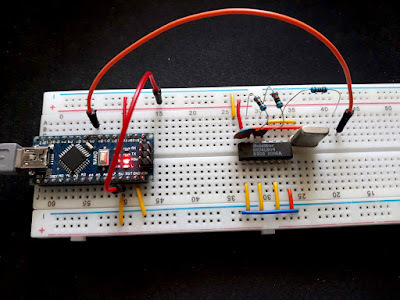 An easy way to generate video signal is by using a microcontroller and some resistors. I'll use for this purpose an Arduino board (ATmega 328p) with the TVout library. The video signal is of low resolution and black&white. But it can be used to display data on a TV screen. If you no longer own a TV with analog video input, an USB capture card can be used. TVout library is interrupt based, therefore will interfere with some of other interrupt dependent microcontroller features. The heat index is a parameter that takes into account temperature and relative humidity, to determine the apparent temperature or the human perceived equivalent temperature. Heat index was developed in 1978 by George Winterling and was adopted next year. It is also known as humiture, according to Wikipedia contributors. To compute this index, you need to know current temperature and relative humidity. 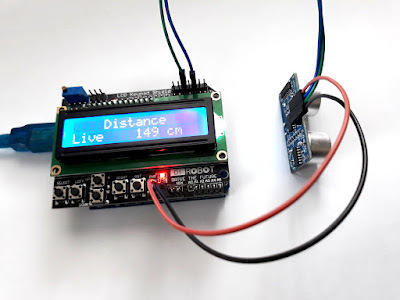 An easy way to find both is by using an Arduino development board with a DHT sensor (DHT11, DHT22). These sensors measure temperature and humidity and send it to the microcontroller using a digital protocol. Thus, there is no need for calibration. You can read the values directly from the sensor module. However, you should take into account that the accuracy of these sensors is not the best. 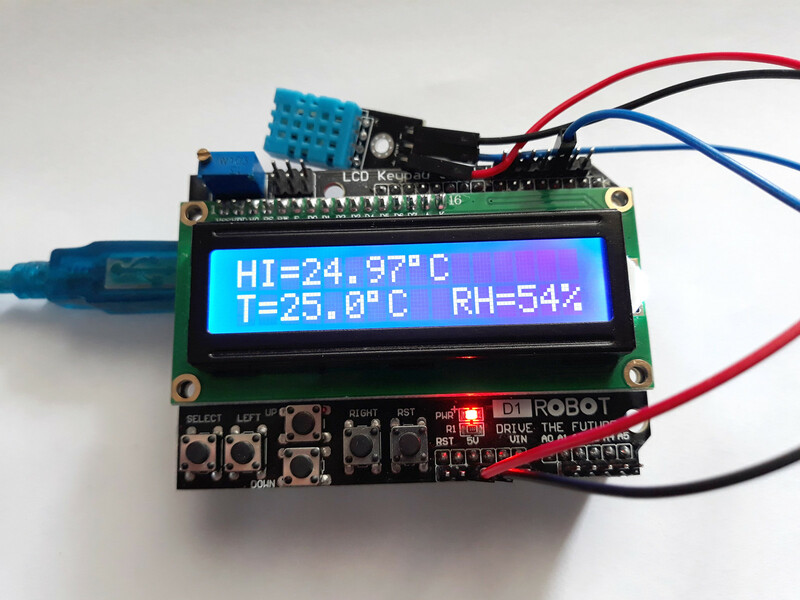 DHT11 has an accuracy of +/-5% for humidity and +/-2 degrees Celsius for temperature. DHT22 (AM2302) is slightly better with an accuracy of +/-2% for humidity and +/-0.5 degrees Celsius for temperature. More than that, DHT22 has extended ranges for both temperature and humidity. 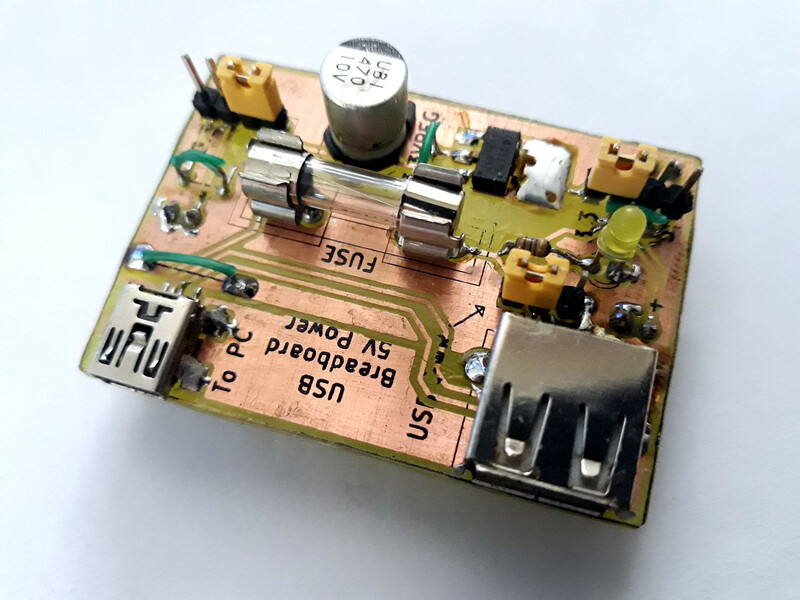 Here is the schematic of a small audio amplifier that can provide up to 300mW to an 8 ohm load and can be used in low power devices like battery powered radios. This circuit can be an alternative to the LM386 IC. 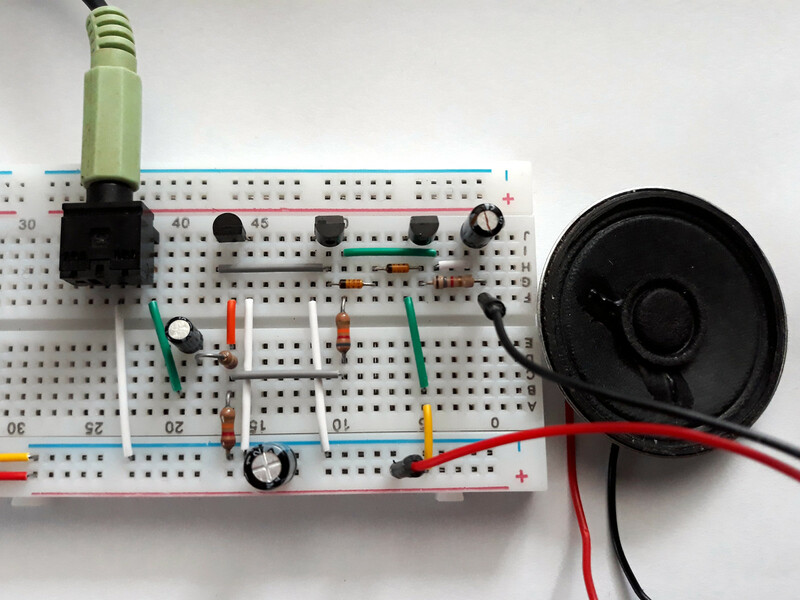 Due to the simplicity of the schematic, the circuit can be built also on breadboard, for those of you who want to experiment and learn how an amplifier works. The design is straightforward. A common small signal NPN transistor (like BC547, 2N2222, 2N3904, S8050) drives a balanced power amplifier made of similar transistors. The output transistor pairs can be BC327 with BC337 or S8050 with S8550. They must handle peak currents of 300-400mA (this is why BC547/BC557 or 2N3904/2N3906 should not be used here). The amplifier can be powered from a 9V battery or from a 12V power source. The circuit draws a current of about 170mA. The quiescent current is less than 10mA.